Located in Iowa, Freedom Foam Insulators, a spray foam insulation company, serves architects, builders, remodelers and homeowners. Using green building technologies and renewable resources, spray foam insulation services all of Iowa and surrounding areas in Illinois, Missouri, and Eastern Kansas. Freedom Foam Insulators of Iowa has years of spray foam insulation experience in IA residential and commercial projects. As a certified spray foam installation applicator featuring open cell foam insulation, our team members are trained and certified by Demilec USA. 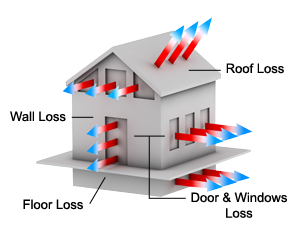 Demilec (USA) provides spray foam insulation solutions for energy efficient designs. The superior performance of Demilec (USA)’s products is driven by the synergy of innovative minds, premium quality components, and pioneering chemistry of spray foam technology. Spray foam insulation is an environmentally friendly, expanding spray foam that forms an air-tight seal. Walls, ceiling/roof deck, and floors are sprayed with a quality spray foam insulaton that forms a monolithic air barrier, producing a structure that has better indoor air quality (reducing dust and pollen), and is quieter (creates sound reduction), and is much more energy efficient. By researching independent studies and goverment reports on energy and health related issues, Freedom Foam Insulators of Iowa has identified the safest, healthliest, most environmentally effective and highest performing spray foam insulations available. Read what satisfied spray foam insulation customers have to say about working with Freedom Foam Insulators of Iowa, review the tax credits available for employing renewable resources, and then schedule a free estimate with one of our knowledgeable professionals. We look forward to working with you. Confused about green remodeling terms? We have provided a spray foam insulation glossary of terms to help homeowners save on energy costs in Iowa. We invite you to read more about spray foam insulation that serves Iowa homeowners.